2016-19 (reverse chronological order). Next date is underlined and in bold font. Tues, Nov 5, 2019, 6-9pm: The Boondocks Cafe (Pub). 5th St. and Beacon Ave, Sidney. Tues, Aug 13, 2019, 7-10pm: The Boondocks Cafe (Pub). 5th St. and Beacon Ave, Sidney. Tues, Nov 20, 2018, 7-10pm: The Boondocks Cafe (Pub). 5th St. and Beacon Ave, Sidney. 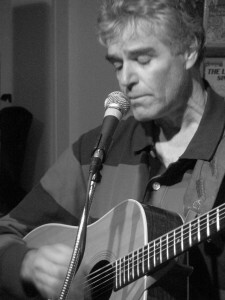 Thur, Nov 15, 6-9 pm: West Coast Grill (Prestige Resort) Sooke. Sat, Oct 20, 6-9 pm: West Coast Grill (Prestige Resort), 6929 W Coast Rd, Sooke. Sat & Sun, Sept 15 & 16, 2018, 1:30-4:30pm: Blanshard Street Winery wine tasting party, 661 Burnside Rd E, Victoria. Try a batch of wine and be on the party list: (250) 475-3800. Sat, Sept 8, 2018: The Boondocks Cafe (Pub), 5th St. and Beacon Ave, Sidney. Sun, July 15, 6-8pm: Brentwood Resort Pub, 849 Verdier Avenue, Brentwood Bay. Tues, July 10, 2018, 7-10pm: The Boondocks Cafe (Pub). 5th St. and Beacon Ave, Sidney. Thur, June 28, 5:00-8:00 pm: Sooke Night Market. Corner of Sooke Rd. and Phillips Rd. Sat & Sun, June 16 & 17, 2018, 1:30-4:30pm: Blanshard Street Winery wine tasting party, 661 Burnside Rd E, Victoria. Try a batch of wine and be on the party list: (250) 475-3800. Tues, May 29, 2018, 7-10pm: The Boondocks Cafe (Pub), 5th St. and Beacon Ave, Sidney. Sun, Apr 15, 6-9pm: Brentwood Resort Pub, 849 Verdier Avenue, Brentwood Bay. Sat, Mar 31, 2018, 7:00-10:00pm: The Boondocks Cafe (Pub), 5th St. and Beacon Ave, Sidney. Fri, Feb 16, 2018, 7:30-10:30pm: Country Rose Pub, 592 Ledsham Rd, Victoria. Turn south from Sooke Road to Ledsham, just east of Kelly Road. The pub is immediately on the left after the turn. Great burgers and other pub fare. Cozy, friendly, casual atmosphere. Tues, Jan 9, 2018, 7-10pm: The Boondocks Cafe (Pub). 5th St. and Beacon Ave, Sidney. Sat, Aug 26, 2017, 6:00-9:00pm: The Boondocks Cafe (Pub), 9732 1st St., Sidney. Tues, July 25, 2017, 6:00-9:00pm: The Boondocks Cafe (Pub), 9732 1st St., Sidney. Sun, July 16, 2017, Revelstoke Street Festival in downtown Revvy. Our 5th consecutive year at this beautiful event. Hoping to have daughter Amy there. too. Tues June 20, 6:00-9:00pm: The Boondocks Cafe (Pub), 9732 1st St., Sidney. Sat & Sun, June 17 & 18, 2017, 1:30-4:30pm: Blanshard Street Winery wine tasting party, 661 Burnside Rd E, Victoria. Try a batch of wine and be on the party list: (250) 475-3800. Fri & Sat June 2 & 3, 2017, 6:00-8:30pm: The Roost Farm Bakery Restaurant at East Saanich Rd and McTavish Rd. Great brick oven-fired pizza. Fri May 19, 2017, 7:00-9:00pm: Masters Lounge at Bear Mountain, 1999 Country Club Way, Victoria. Saturday, Feb 4, Sooke: Folk Music Society Fundraiser at their regular digs, Holy Trinity Church, 162 Murray Rd., Sooke. Dave Gallant has been a passionate volunteer manager of this excellent venue for many years, so they deserve the ongoing support of the musical community. Several 1/2-hour performances, including Chollie, will be featured. The acoustics and goodies are top notch. Tues, Jan 14, 2017, 6-9pm at 9732 1st Street, Sidney’s Boondocks Cafe. My debut at this charming, folksy, family run, neighbourhood pub. Food, beer, and atmosphere are hard to top, and Jen has succeeded in enhancing it all with regular local live music. I already have my set list ready and will be unleashing (inflicting?) several instruments and genres on those present. This will be the perfect time to start socializing after the holiday recuperative break. A return date to a friendly venue with great food. Fri, Sept 23, 7:00-9:30pm: Gorge-ous Coffee at Tillicum and Gorge Rds. Norm MacPherson will join me, Mariah and/or Joss at one of our fave venues. Sat Sept 17 & Sun 18, 1:30-4:30pm: Blanshard Street Winery wine tasting party, 661 Burnside Rd E, Victoria. “Beats of Burton” (Mariah, Joss, and Charlie) & Norm MacPherson. Try a batch of wine and be on the party list: (250) 475-3800. Our inaugural appearance on June 18-19 has resulted in a return invitation. A return date after a successful intro on June 23. Very good food and atmosphere for diners and musicians, friendly staff. Sat, Aug 6, 7:30-9:30pm: Diamond Willow Retreat, 110 Diamond Willow Sub, Pouce Coupe, BC (near Dawson Creek). Outdoor (weather permitting) dining. I had a blast here during my 6-wk trip in 2013. Tues & Wed, July 26 & 27, Revelstoke Street Festival in downtown Revvy. Our 4th consecutive year at this beautiful event. Hoping to have a daughter or three there. too. Sat June 18 & Sun June 19, 1:30-4:30pm: Blanshard Street Winery wine tasting party, 661 Burnside Rd E, Victoria, Invitation only for customers. “Beats of Burton” (Mariah, Joss, and Charlie) & Norm MacPherson. Try a batch of wine and be on the party list: (250) 475-3800. Sat, Apr 23 7:00-9:30pm: Gorge-ous Coffee at Tillicum and Gorge Rds. Norm MacPherson will join me and Mariah at one of our fave venues for our third live collaboration, after having helped us break in a new PA at Metchosin. Fri, Jan 22 7:00-9:30pm: Gorge-ous Coffee at Tillicum and Gorge Rds. Jocelyn may join me and Mariah at one of our fave venues. Sat, Sept 12, 7:00-9:30pm: Gorge-ous Coffee at Tillicum and Gorge Rds. Jocelyn may join me and Mariah at one of our fave venues. Sat, Aug 22, 5-8pm: Hyland’s Fish and Chips, 10153 Resthaven Dr., Sidney. Sat, July 18, 5-8pm: Hyland’s Fish and Chips, 10153 Resthaven Dr., Sidney. 5-7:30pm: Hyland’s Fish and Chips, 10153 Resthaven Dr., Sidney. Wed, May 27, 7:00-9:30pm: Inaugural evening of “A Selective History of Pop Music”, at Gorge-ous Coffee at Tillicum and Gorge Rds. Charlie will play his versions of famous songs from the early 1900s to 2010s, with commentary. Sat, Apr 4, 7:30-9:30pm: Gorge-ous Coffee at Tillicum and Gorge Rds. Jocelyn will be home to join me and Mariah at one of our fave venues. Sat, Jan 31, 4:30-7:30pm: Hyland’s Fish and Chips, 10153 Resthaven Dr., Sidney. Played here with Jocelyn in Dec and enjoyed it, so I’m back, maybe solo, but either Joss or Mariah may join me. Sat, Jan 10, 7:00-10:00pm: Mariah and Charlie will perform originals and quirky, lesser known covers, including some banjo, at a cozy spot with fine cuisine and spirits, “The Mayflower Caffe” (formerly “Caffe Teatro”) at 990 Blanshard St (at Broughton). Drop in for a few tunes before taking in the Royal Theatre, or a movie, or…. Sat, Dec 6, 4:30-7:30pm: Hyland’s Fish and Chips, 10153 Resthaven Dr., Sidney. Funkey little café/restaurant where I have never played, so why not? Sun, Nov 30, 7:30pm: open mic followed by Charlie & Mariah as the feature at 9:00pm, Norway House (home base of the Victoria Folk Music Society), 1110 Hillside Ave.
Mon, Nov 17, 9pm: Felicita’s Pub, UVic. A 45 min set with Mariah at around 9pm. Sun, Apr 27, 11:00am-1:00pm: Cherries Breakfast Bistro, Wilkinson & Interurban. Sat, Feb 22, 7:30-10:00pm: Christie’s Pub, 1739 Fort St, Victoria – with Mariah, we hope! Sat Aug 17, 7:00-9:00pm: Gorge-ous Coffee, NW corner of Tillicum and Gorge Rd.